It’s no secret that Aquaman is one of the DC Universe’s biggest badasses. 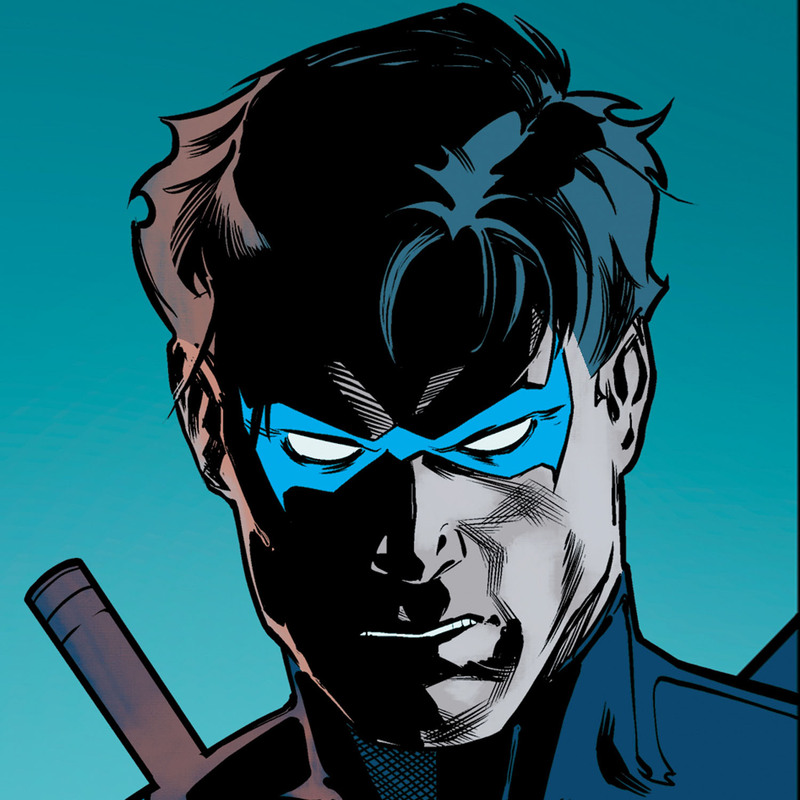 But did you know that his soul mate Mera is just as tough as he is -- and often tougher? She’s ruled three kingdoms, fought alongside the Justice League, and overcome countless tragedies to emerge as one of the most popular heroines in the multiverse. 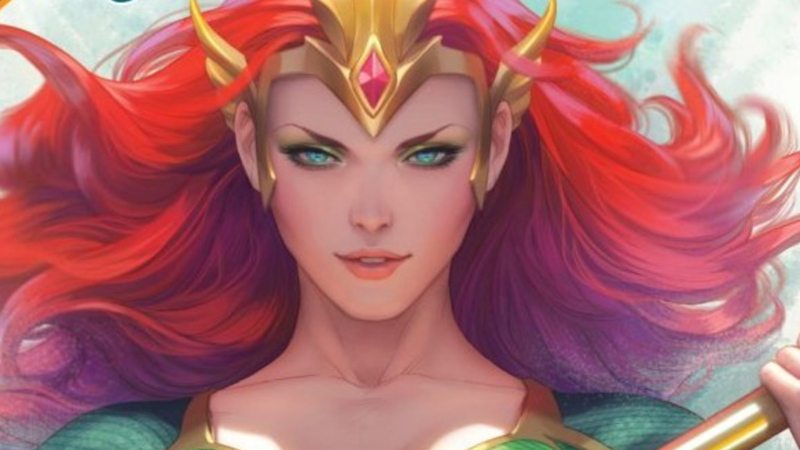 Even before meeting and marrying Aquaman, Mera was a queen. She ruled her own kingdom in the watery dimension of Xebel (then known as the Aqua Dimension). Due to her far away origins, she had some powers Aquaman didn’t, such as the ability to conjure and manipulate hard water. She first ran into her future husband when the villainous Leron chased her through a dimensional warp to Earth (in Aquaman #11). Aquaman helped her stop Leron, and she quickly became smitten with him. For the next few months, Mera was a frequent visitor to Earth, and joined Aquaman on many adventures. When Mera learned the dimensional warp between her world and ours was closing, she chose to leave her kingdom behind to remain with her beloved. Her timing couldn’t have been better -- since Aquaman had recently been coronated king of Atlantis, and was told that Atlantean law required he choose a queen. Both Aquaman and Mera were devastated to learn the law dictated that the chosen queen must be Atlantean. 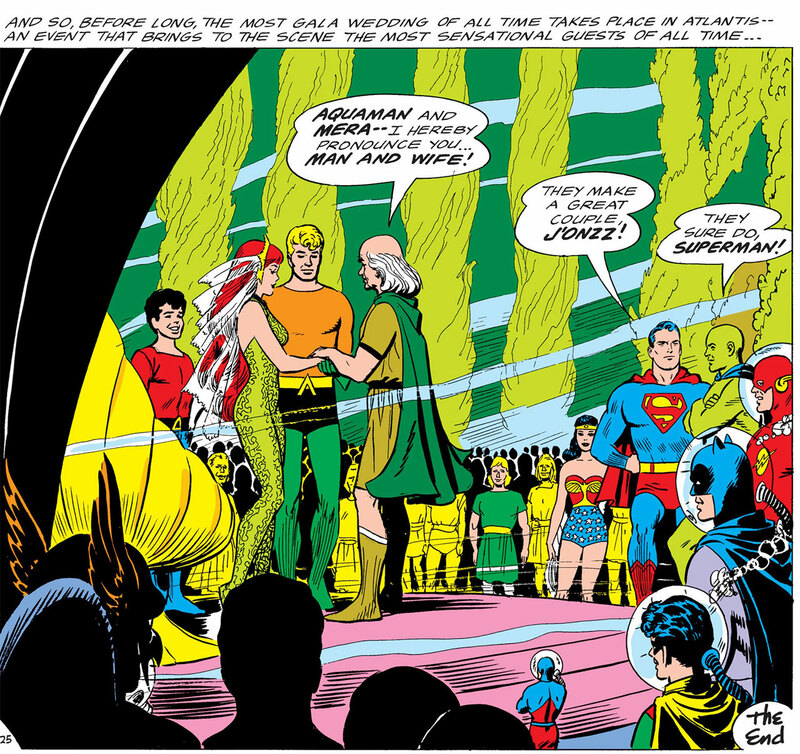 Some quick thinking by Aqualad saved the day when he reminded his mentor that he could use his new powers as king to make Mera an honorary Atlantean, clearing the way for the happy couple to wed (in Aquaman #18). Interestingly enough, it was later revealed that the kingdom of Xebel was founded by Atlantis refugees, meaning that Mera was technically Atlantean the whole time! The birth of the couple's son, christened Aquababy, in Aquaman #23 was also filled with drama. Mera was forced to take a serum to ensure their baby wouldn’t die in childbirth; but it had the unexpected consequences of giving their newborn the power to make deadly fish appear! The new parents were forced to temporarily exile themselves from their kingdom until a cure was found. Raising a son caused the newlyweds all kinds of stress, as their baby was constantly kidnapped by their enemies, and once (when he was only a few months old) a lab accident temporarily turned the newborn into a teenage Aquaboy (in Aquaman #25). Tragically, that was the closest Aquababy ever got to growing up, as his life was soon cut short. When Black Manta critically injured their son, Aquaman went on a mission of vengeance thinking his boy was already lost, while Mera stayed behind attempting to do everything she could to revive their child. Mera learned of a device that could revive her son, but by the time she returned to Atlantis with it, he had already passed (read Aquaman #60 it here). Her grief turned to fury, as she blamed her husband for not being around to help her get the device back in time. She attacked Aquaman and told him he was responsible for their son’s death. The two attempted to repair their marriage, but the death of their son, coupled with Arthur being deposed from his Atlantean throne, proved to be too much for the couple. For the next few years, Aquaman and Mera kept separating and reconciling. Once, Aquaman thought he had killed his wife when he accidentally impaled her during a fight. After her funeral, Aquaman tearfully mourned Mera when she gave him the shock of his life by rising out of her casket. She reminded her husband that her Xebel biology was different than his, and then left for parts unknown. It turned out that Mera had been taken to the Netherspace dimension by Thanatos. During her brainwashed captivity, where time passed faster than it does on Earth, Mera had given birth to another son named AJ. Since Thanatos had disguised himself as Arthur before taking Mera, it’s unknown if the father of the child was the real Aquaman or Thanatos. After overcoming Thanatos brainwashing, Mera returned to Atlantis to find her husband with another woman named Dolphin. Realizing that AJ couldn’t survive in our dimension, he and Mera went into a warphole which led them to a realm called the Oceanid. Like the Netherspace, time moved differently there, and AJ aged into adulthood. Mera became the realm's queen and turned down Arthur’s offer to return to Atlantis with him. But AJ (who had now aged rapidly into an adult) pushed her into a portal back to Earth in an effort to bring his parents back together. Although Aquaman and Dolphin were no longer together, Mera was unsure if she wanted to resume her marriage. 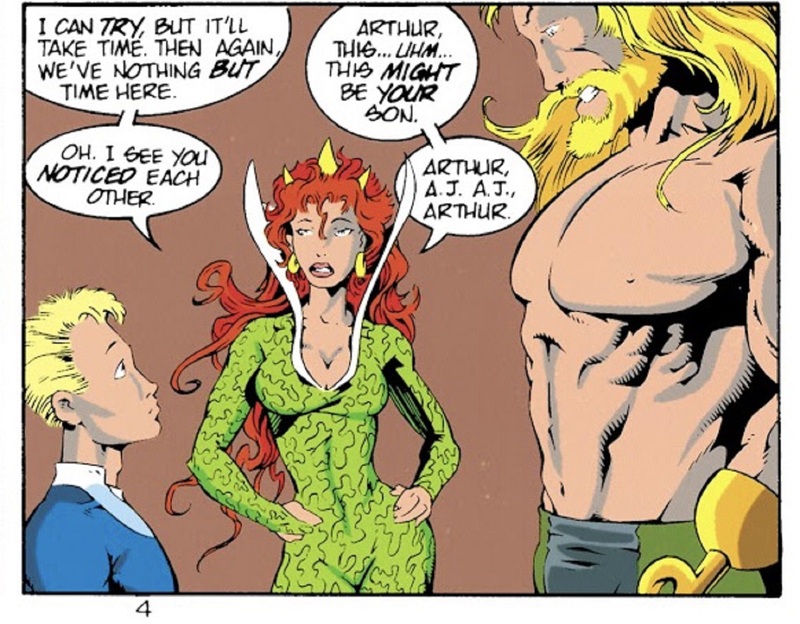 Looking up Atlantean laws, Mera told Arthur that due his infidelity, they were no longer legally married. Despite this, the people of Atlantis (who had now given Arthur back the crown), did not accept this, and still looked to Mera as their queen. Aquaman also wasn’t ready to give up on his marriage. After much tension and soul searching, the two reunited…but their happiness wouldn’t last long, as Arthur was killed during a battle with Narhwal. Mera was then forced to battle the reanimated corpses of Aqauman and Aquababy during the events of Blackest Night. At the concluison of the storyline, the White Lanterns revived Aquaman, leaving him and Mera free to reunite. The reality-altering events of 2011's Flashpoint erased their marriage, but they weren’t able to destroy their bond. In the reimagined version of their history, Mera first met Arthur when she was sent to our realm to kill him (read Secret Origins #5 here). 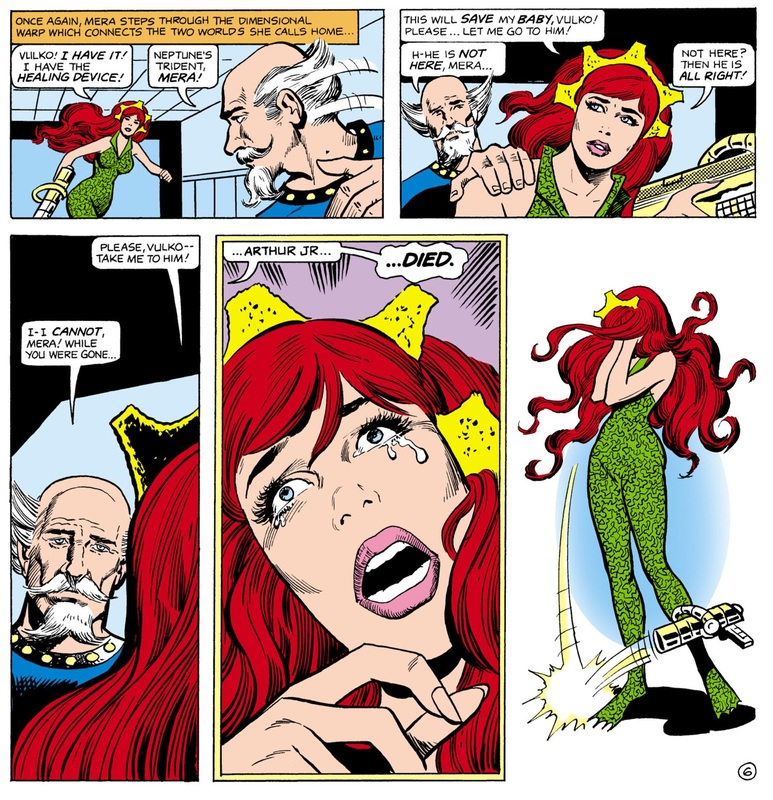 The people of Xebel wrongly blamed Atlantis for their exile and wanted to use Mera to exact their revenge. Instead, Mera wound up being taken by Arthur’s kindness, and abandoned her mission. 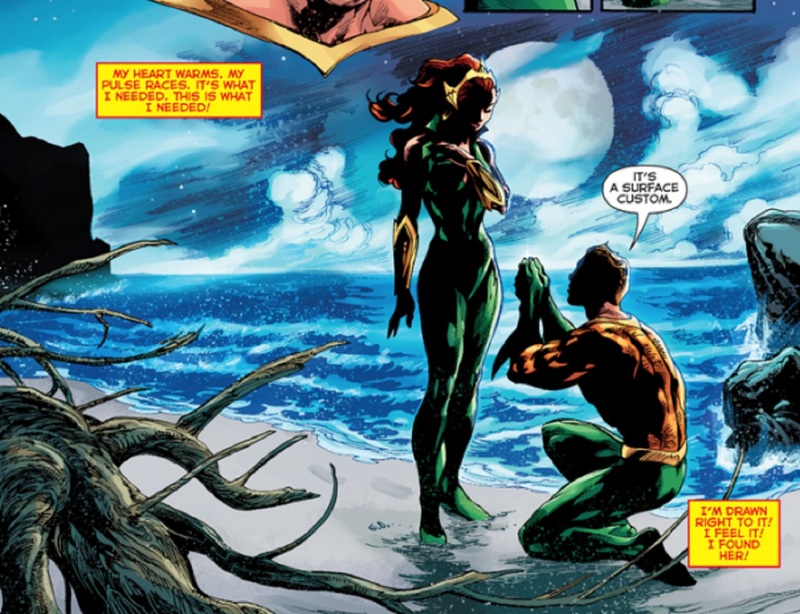 Years later, Aquaman proposed to Mera on the same beach where she had once tried to kill him. Even after 55 years of comic-book stories, Mera hasn’t slowed down. In the past few years, she’s reclaimed the throne of Atlantis as queen after defeating her brother-in-law Orm, and operated as a member of the Justice League in her spare time. Mera has had everything thrown at her, but it hasn’t broken her. She has the temper of Orion and the strength of Wonder Woman. Mera is one of the most underrated female characters in the DC Universe, and thanks to the upcoming Aquaman film (her live-action debut, in which she's played by Amber Heard), the world is about to see just how tough she really is. Are you a fan of Mera? Let us know in our Community!